organised by national institutions and then state organisations and gardens. ​so it will be developed on a regular basis and updated periodically. It starts with some of the major botanic gardens in the USA. Noteworthy collections include economic plants, medicinal plants, orchids, carnivorous plants, cacti and succulents, Mid-Atlantic native plants and ferns. 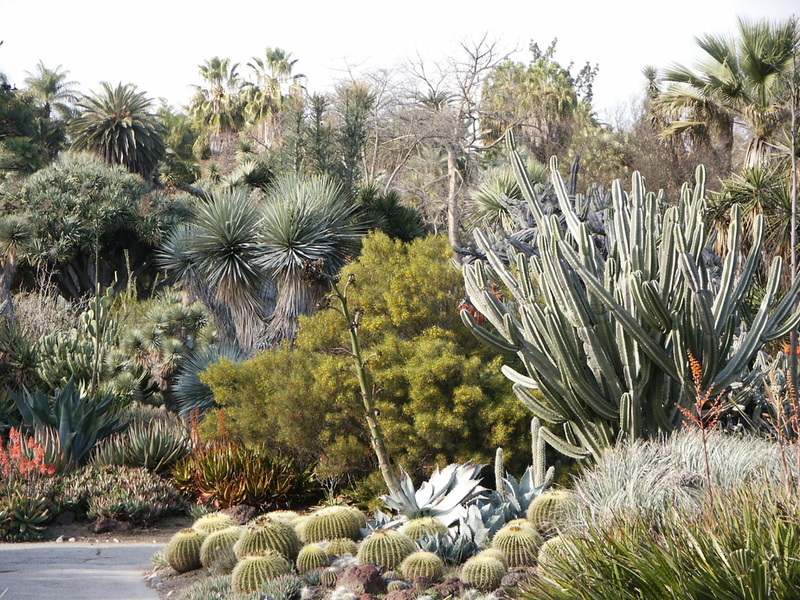 Huntington Botanical Gardens - The Huntington Library is home to a famous botanical art collection. The gardens are themed and cover 150 acres (60.7 hectares). This site covers 127 acres and is located at 301 North Baldwin Avenue, Arcadia, CA, 91007 - in the historic Rancho Santa Anita area of Arcadia. It aims to be an educational resource for environmental stewardship, the history of our region, the study of plants, and a place of learning and respite for the people of Southern California. The 3 acre site site is a former walnut tree orchard. It now contains a 10,000 m² public dry garden containing more than 2,000 cactus, succulents, trees, and shrubs native to Africa, Australia, California, Chile, and Mexico. Its mission is to preserve this exceptional collection of water-conserving plants for the education and enjoyment of the public. The garden has 26 gardens and four natural areas on 385 acres on and around nine islands, with six miles of lake shoreline. Ground was broken for the Chicago Botanic Garden in 1965 and it finally opened in 1972. It now has 50,000 members—one of the largest memberships of any U.S. botanic garden. one of only 17 public gardens accredited by the American Association of Museums. Its Lenhardt Library contains 110,000 volumes — including one of the nation's best collections of rare botanical books. the oldest botanical garden in continuous operation in the USA. has one of the world's leading programs in botanical research. It covers 51.5 acres (20.8 hectares) in St.Louis, Missouri. The Linnean House was built in 1882 and is the USA's oldest continuously operating greenhouse. The Climatron is a geodesic dome covering more than 0.5 acre with more than 1,200 tropical species. 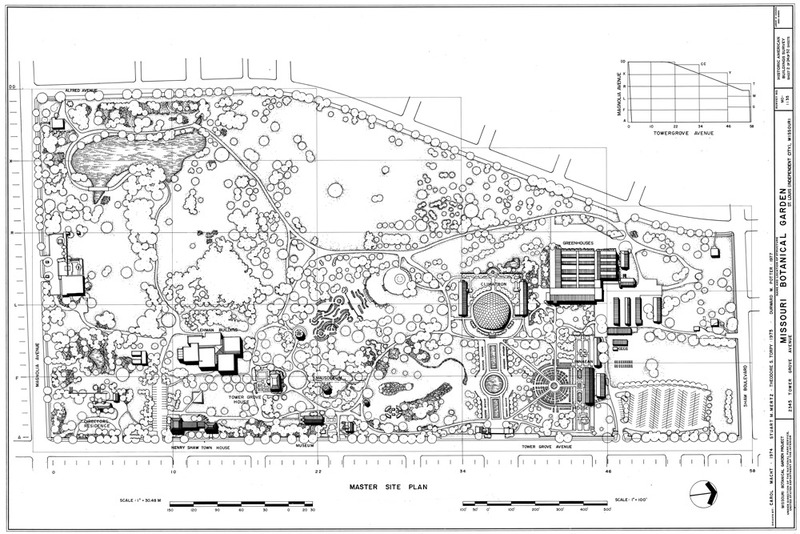 Missouri Botanical Garden, 2345 Tower Grove Avenue, Saint Louis, Missouri (St. Louis City County, MO) Missouri Botanical Garden - site plan, drawn 1974-1977. List of botanical gardens and arboretums in New York: Wikipedia has a separate list of all the significant botanical gardens and arboretums in the U.S. state of New York. 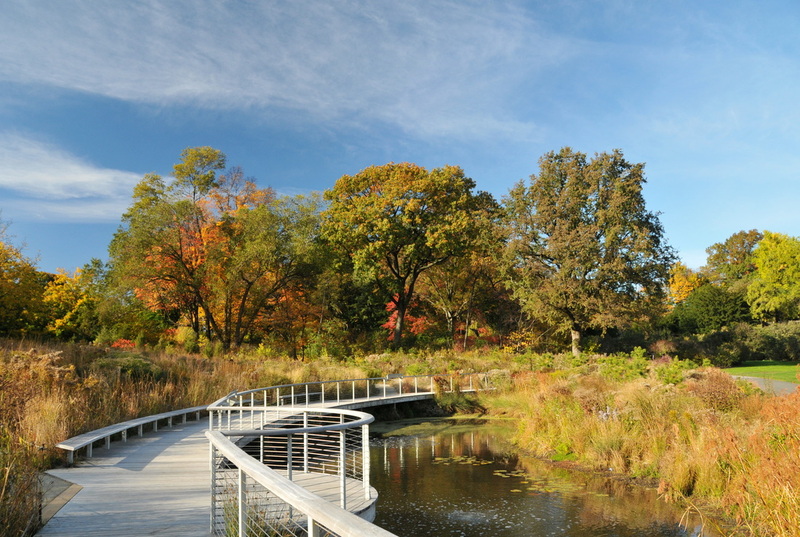 New York Botanical Garden - This botanic garden has a mission to study, exhibit, and teach about plants. ​the largest remnant of the original forest which covered the area of New York - it has never been cut. nearly a million visitors a year. 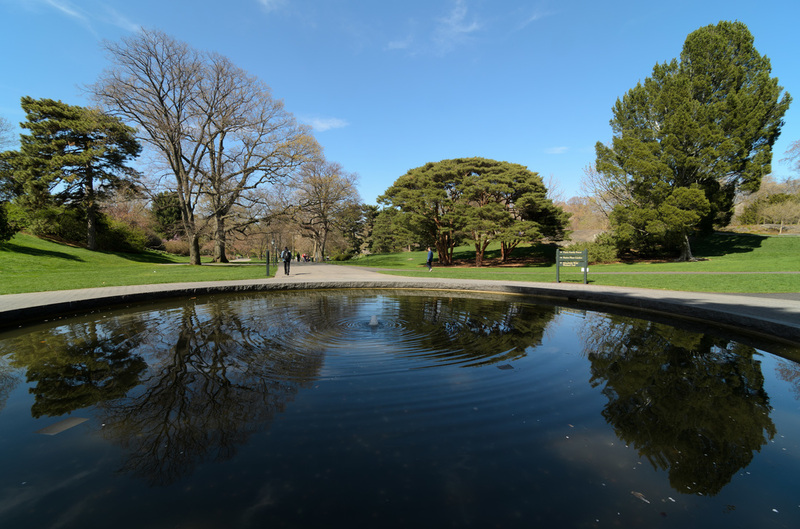 Reflecting Pool, New York Botanical Garden, The Bronx, New York City. ​This 52 acre garden was founded in 1910. More than 10,000 different plants can be found in the garden. It contains a Native Flora Garden. When this was established in 1911 it was the first of its kind in the USA. It also includes the first Japanese Garden to be constructed in the USA. Its current research is focuses on research focused on understanding and conserving regional plants and plant communities. The current development programme includes new gardens the biggest of which is the new Water Garden. Brooklyn Botanic Garden - Fall In the Native Flora Garden. This is the oldest surviving botanic garden in the United States. It was founded in 1728 by John Bartram (1699-1777), an early American botanist, explorer, and plant collector. The garden was developed on what had been a farm and became a systematic and varied collection of North American plants over time. He initiated trade in these plants which was continued by his sons John Bartram, Jr. (1743–1812) and William Bartram (1739–1823) who expanded both the garden, nursery business and the international trade. The family sold the garden in 1850 and initiatives were undertaken to preserve the garden. In 1891, control of the site was turned over to the City of Philadelphia. 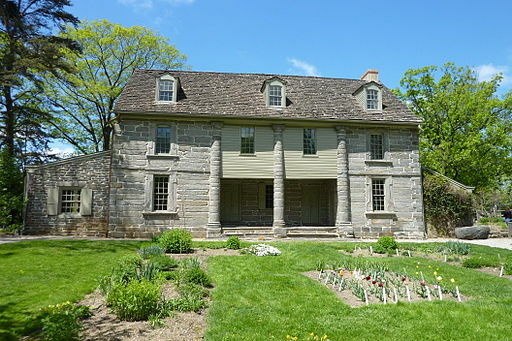 It is now a 45-acre National Historic Landmark, operated by the John Bartram Association in cooperation with Philadelphia Parks and Recreation. The garden includes the oldest ginkgo or maidenhair tree, Ginkgo biloba, in North America.